All the way from the borders between Nepal and Darjeeling in India this is a unique tea, exclusive to Tchai-Ovna which we discovered on our recent excursion to India for the spring harvest (first flush) season. 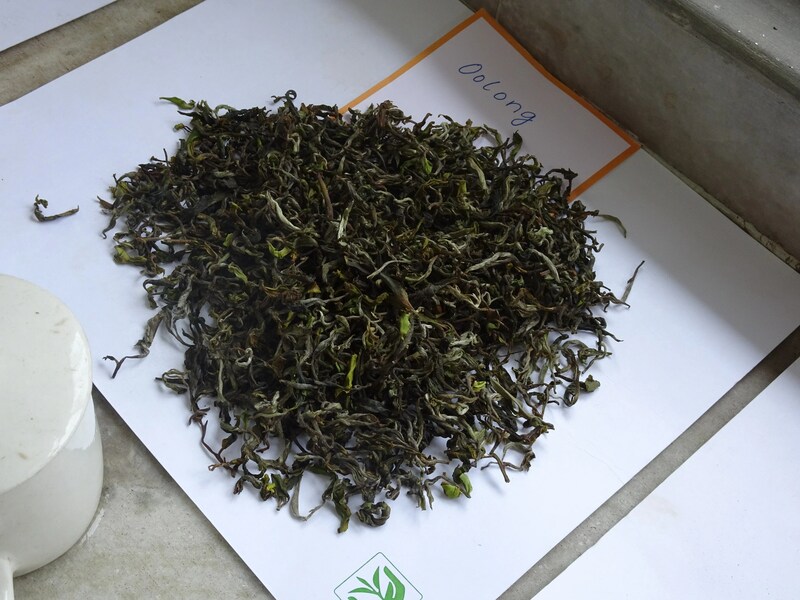 Darjeeling is more famous for its high grade black tea, but this oolong variety from the Thurbo is really really special. It has the fresh floral taste of a tea picked early in spring with the characteristic Darjeeling subtle sweetness, however left to brew for longer, the taste gradually develops and matures into something that is perhaps best described as the taste of gold. It becomes full bodied, rich and complex whilst still retaining it’s floral freshness and subtle sweet, yet pleasantly lingering after taste. We reckon it would not be far off to say this is the best tea in the world. You can buy this lovely loose leaf tea at Tchai-Ovna for £12 per 50g or in a pot for £4.60 and it will suit another infusion. It will be on line soon. As this is an Inkster’s label tea, 1/3 of the packet price will be donated to refugee charities.